Hello! 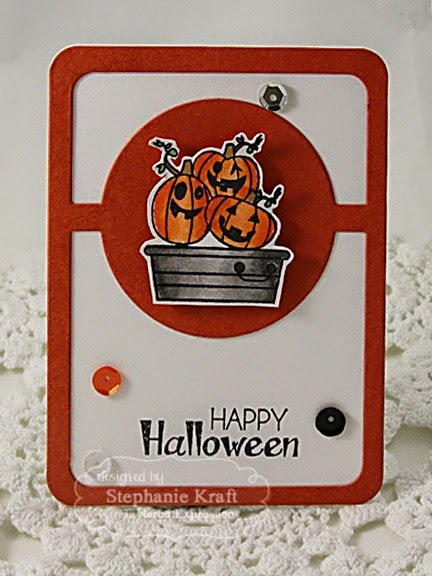 Today I have a couple of Halloween projects using an older Taylored Expressions stamp set, A Bushel & A Peck. First I made a card. 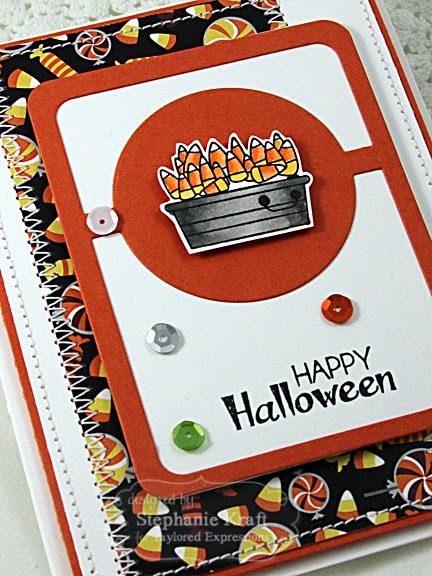 I stamped and colored the galvanized tub and candy corn, then fussy cut and popped the image onto the Pockets & Pages 3x4 Circle Showcase. The sentiment was added to the white space. 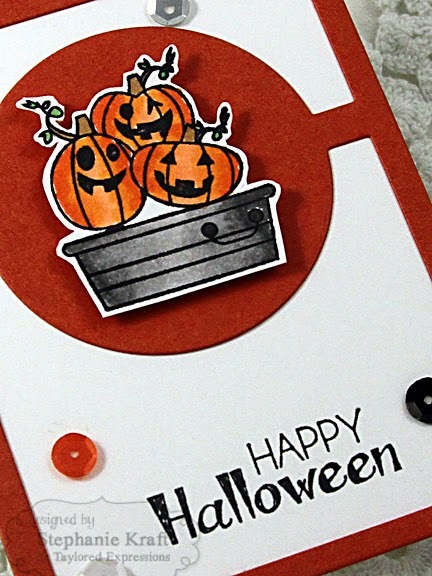 Patterned paper and sequins are from the Hocus Pocus Matched collections. 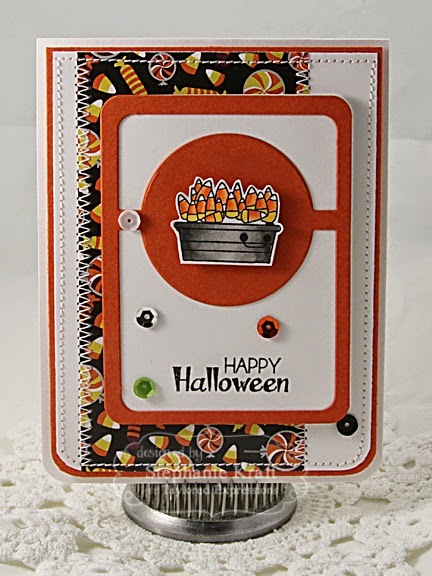 Next, I created a 3x4 filler card for my Project Life album using the P&P 3x4 Circle Showcase and created a tub full of pumpkins this time. Accessories: Taylored Dies: Pockets & Pages 3x4 Circle Showcase (TE), Corner Rounder, Markers (Copic), Hocus Pocus Matched sequins (TE), Foam tape, Thread, Sewing machine.